Alcohol consumption has a direct and immediate effect on the body, which is already occurring shortly after the consumption. An excessive consumption of alcohol over a long period may also but also cause damage that will become apparent only after months or years. An alcohol addiction again runs often at certain stages, each with characteristic behaviors. 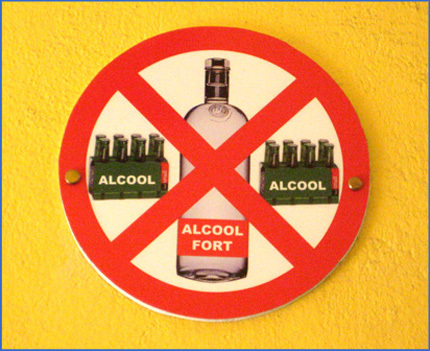 High alcohol consumption increases the risk significantly for many different diseases. To this end, in addition to liver inflammation, cirrhosis or pancreatitis include injuries, accidents, cancer (particularly tumors of the oral cavity, pharynx, liver and female breast), disease of the esophagus and stomach (inflammation, ulcers, cancer), diseases of the heart and vasculature (cardiac arrhythmias, cardiac enlargement, …), folic acid deficiency and consequent anemia, erectile dysfunction, immune disorders, nervous system damage to prenatal damage to the embryo, such as, but short stature, mental retardation, or heart failure. Among the social consequences often include difficulties in the family and workplace issues, loss of friends and acquaintances, driving license or conflicts with the law. Alcohol addiction often leads also to social decline and caused enormous social costs.